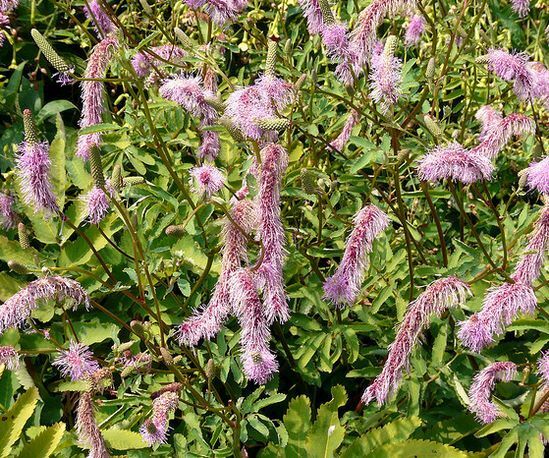 Sanguisorba plant species are hardy perennials that reach from 1.2 to 1.8 m in height. Sanguisorba bloom in the middle of summer and carry brushes of very small red, white or pink flowers atop long stems. The foliage is usually a light green with the leaves being lance shaped. Some common names for members of the Sanguisorba genus include Burnet, Salad burnet and Toper's Plant. The leaves can be used in cooking. Latin names include Sanguisorba officinalis, Sanguisorba obtusa, and Sanguisorba menziesii. Sanguisorba obtusa by Carl E Lewis. Common Names: Burnet, Toper’s plant. Height: 16 to 78 inches (40—200 cm). Small shrubs. Native: Northern Hemisphere (temperate areas). Flower Details: White, red, pink. Tiny. Dense bottle-brush-like multi-flowered clusters. Foliage: Herbaceous. Light green. Lanceolate. Comprised of pinnate oval leaflets. Sow Outside: Surface. In pots under a cold-frame. Start of spring or towards the end of autumn. Sow Inside: Germination time: one to two months. Temperature: 50°F (10°C). Late autumn/three months in advance. Transplant outdoors to their final the following spring. Space at 16 to 48 inches (40—120 cm) depending on species size. Requirements and care: Full sunlight with light shade in the afternoon if grown in hot areas. Average to moderately fertile, moist soil. Good drainage. Soil pH 6 to 8. Provide spring mulch. Provide support. Harvesting leaves stimulates further leaf growth. Propagate: by dividing rots in the spring in cooler areas or the autumn in warmer areas. Miscellaneous: Can spread invasively from its rhizomes, so consider growing in a contained area. Salad/Garden burnet attracts butterflies and moths such as Grizzled Skipper and the Mouse moth to the garden. Plants grown indoors will require at least five hours sunlight to produce leaves suitable for culinary purposes. When growing Sanguisorba members such as Burnet outdoors from seed then sow on the surface either in late autumn or at the start of spring. They like to grow in a sunny part of the garden, though in hot areas it may be better to grow in a part of the garden that receives a light shade in the afternoon. Ideally the soil that plants grow in will be moist, pH 6 to 8, and of an ordinary nature. If starting off indoors it should take the seeds about two months to germinate at 10 to 12 degrees Centigrade. The seedlings should be allowed to grow for a year then put outdoors in the following springtime. Once growing it is fairly easy to care for Sanguisorba; they like moist soil so keep well watered; supply a stake in windy areas, cut back leaves frequently (this will encourage further growth). In the spring time the plants should be supplied with a mulch. 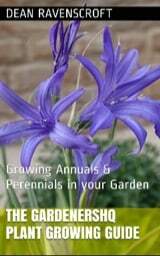 If you require more plants then they can be propagated by division in spring or autumn.